This song is mostly performed during the Human touch tour. 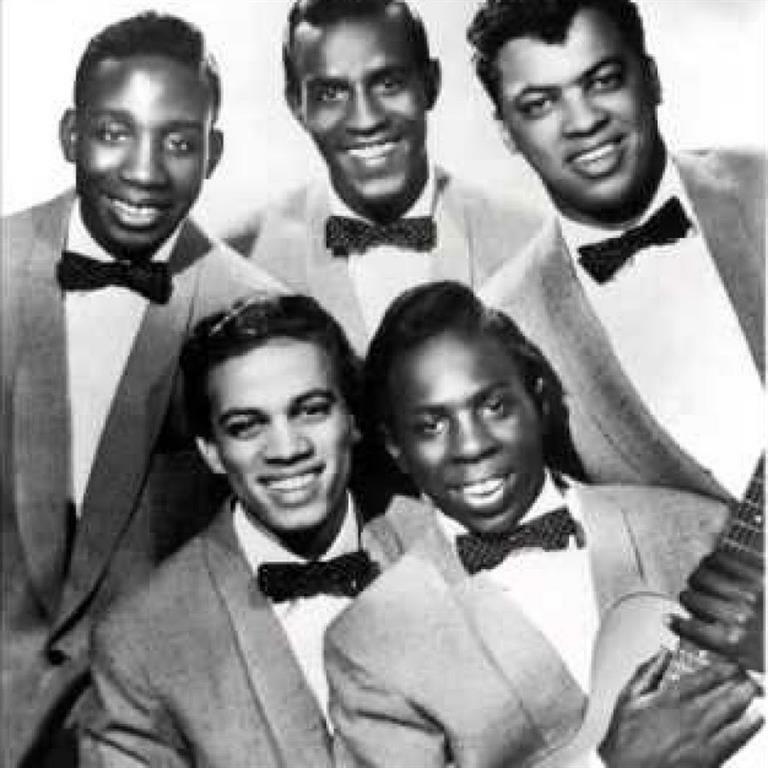 The song was the show closer and was played in a full-band arrangement as a duet with 1992-1993 band backing vocalist Bobby King. 1975-07-25 - KEYSTONE HALL, KUTZTOWN STATE COLLEGE, KUTZTOWN, PA : "The E Street Shuffle" includes "It's All Right" in the introduction. 1978-08-31 - THE AGORA, CLEVELAND, OH : "it’s all right" was also used intro in "having a party" performed with Southide Johnny and little Steven. Two shows, double bill, with The Bruce Springsteen Band (in its 9-10 member incarnation) headlining and Sunny Jim opening. This was the first of two consecutive Thursday evening appearances at the club. 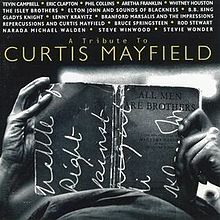 The tour and European debut of Curtis Mayfield's "It's All Right" closes the show. 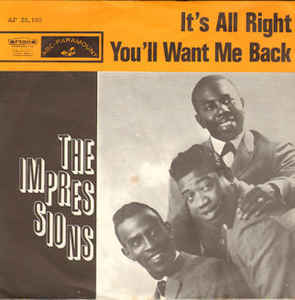 "It's All Right" is a 1963 song recorded by The Impressions and written by the group's lead singer, Curtis Mayfield. The single was the most successful chart entry of the group's career.